FUT vs FUE: Which Hair Transplant Method is Better? Turning bald is an incrementally growing concern among the youth, and some older individuals, in most societies. Doubtless, that could drive anyone crazy; couldn’t it?! Although it is not the same in every country, one could safely observe that some, if not all, people in each society deem baldness as entirely embarrassing, or to put it more accurately, a total nightmare. However, it isn’t yet the end of the world: there are certain procedures that can effectively take care of your condition. Undergoing a hair transplant procedure is a bold (not bald!) move which requires much consideration prior to deciding on a specific treatment. Since the days of Punch Hair Transplant invented by Dr. Orentreich in the 1950s, the procedures of hair transplantation have come a long way to make you look younger, more attractive and endow you with a more vibrant social life. The advent of Follicular Unit Transplantation (FUT) took place in 1990s to give men and women hope that they can revive their appearance and achieve a younger version of themselves even at advanced age. By the passage of time, the inexorable process of the advancement of the technologies involved in hair transplantation reached new frontiers of Follicular Unit Extraction (FUE). As there are two of quite common methods available in today’s hair transplant community, people enjoy the liberty of choosing whichever method that best suits their needs and the specificities of their circumstances. In this article, we are going to discuss the two main hair transplant methods and the pros and cons of each one. Read on to get a full understanding of the two procedures and learn which one is best for you. FUT, also known as FUSS (Follicular Unit Strip Surgery), is the traditional and most common method of hair transplantation. In FUT, a strip of tissue is removed from the back of the head, called the ‘donor’ site and taken to a special room to be washed and separated into grafts (a piece of tissue containing hair follicles to be planted). The dissected grafts then are planted in holes created in the bald part of the head, called ‘recipient’ site. FUE is a more modern technique in which a part of the donor area is shaved and then strands of hair are individually cut out by making circular incisions around them. Since a doctor has to extract each graft individually and directly from the scalp, the FUE procedure is very time-consuming. The extracted grafts are then inserted into holes created in the bald area just like in FUT. FIT, which stands for Follicular Isolation Technique, is a technique almost identical to FUE. Both hair transplantation surgeries extract/isolate the hair follicle one by one in the donor area. Variations range more between hair restoration clinics than they do between these two techniques. Therefore, it would be safe to say that these hair transplant procedures are basically the same thing. The only difference, if one really wants to split hairs here, would lie in the surgical instrument used to extract/isolate the hair follicles. Aside from minor variations in terms of the instruments used to extract hair, one could not detect any major difference between the two. 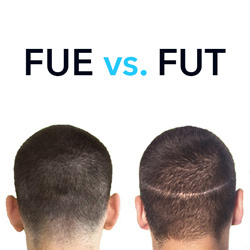 FUT vs FUE: Which is the way to go? 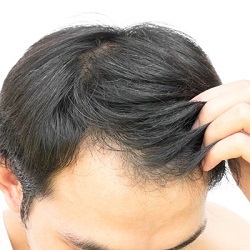 Nowadays, the two main hair transplant methods are in fierce competition. Each contains certain privileges and shortcomings and it is, more often than not, the necessity of the circumstances that pushes us to side with one procedure rather than opting for another. What usually concerns the patients who are trying to make up their mind regarding a certain type of hair transplant is the issue of scarring and here is where FUT does not exactly shine. Unfortunately, FUT leaves a visible strip-like scar around the back of the patient’s head which makes for a not-so-attractive look after the procedure is done. Aside from this drawback, FUT enjoys some considerable advantages which turn it into a rather popular method of hair transplant. 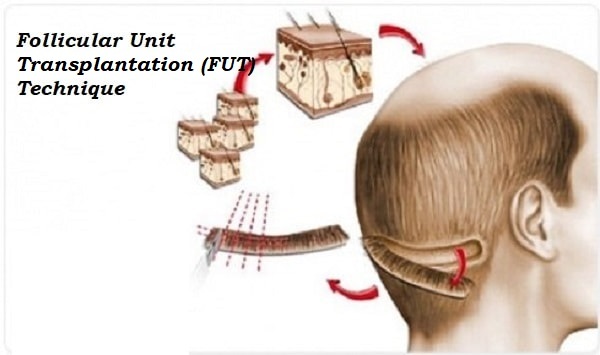 The better quality of hair extracted from the patient’s scalp is one of the main plus points associated with FUT. FUE, on the other hand, does not leave a visible scar on the head, making it a good choice for people who want to cut their hair short. The side effects of FUE amount to no more than tiny pinpricks and due to the small size of the scars, not many people will be able to see them. While a visible scar in the shape of a strip is left on the back of the head in FUT, there will be no visible scarring in FUE and FIT. To be quite fair and do justice to both methods, we feel obliged to mention the advantages of both sides; that way, you would have all the necessary information required to make an informed decision. In terms of scarring, FUE leaves patients with little to no visibility. Non-pigmented dots appear mainly at the back of a patient’s scalp who has recently undergone FUE. Due to the small size of these dots, unless the head is completely shaved, not many people will be able to notice them. In addition, the recovery time in the FUE method is a lot shorter than that following a FUT procedure. Also, the patients who opt for FUE have been recorded to report far less post-operative pain compared to those who undergo the other method. Removing hair strips take a very shorter time compared to the other method which you have to sit still for a long time only to get your hairs extracted. Considering the above-mentioned pros and cons of both methods, opting for one of the treatments (FUT and FUE) seems like a delicate undertaking. Medics and surgeons find it, at times, rather baffling as to which way to go. The youth: Younger individuals, especially those in their twenties constitute the ideal community to whom FUE is usually prescribed. The reason seems to have something to do with the fact that these patients tend to change their mind about their hairstyle. Less obvious scarring on the scalp seems to play an important role in pushing this age group towards the aforementioned treatment. As can obviously be deduced, fewer scars means a definite boost in the individual’s self-confidence and that apparently has turned FUE into the more popular treatment among younger people. 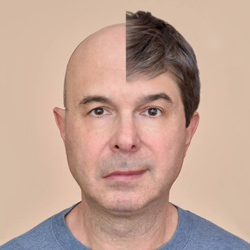 People with small baldness: As the number of grafts needed for patients with small patches of baldness is limited, FUE is the best option, in which as many as 2000 grafts are harvested individually from the donor area and planted into the bald areas. People with short hair: Since FUE leaves little scars on the head, people who prefer short hair feel more confident when it comes to choosing between the methods of hair transplant. After all, in addition to receiving desirable results, people care about their appearance as well. Those who have already had a previous procedure: In case a patient has already had one round of hair transplant, most probably an FUT which has left them with considerable scars around their scalp, he will be advised to undergo the other kind as a second round of transplant. It is imaginable how you would feel if you had to receive the treatment another time and were concerned about more scars and visible lines around the treated area; that certainly would not be a pretty sight! Who is a good candidate for FUT? 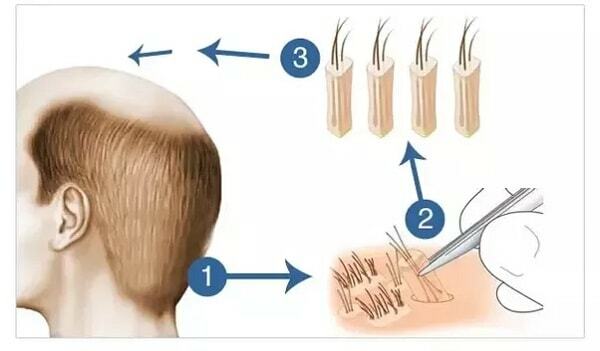 People with long hair: People who aren’t into short hair and always wear their hair long are good candidates for FUT as the scar left on the head in this method can be concealed under the hair. 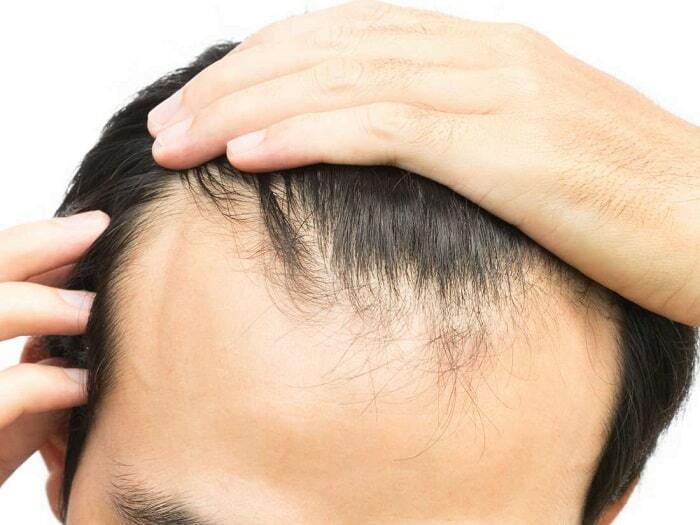 Patients with large baldness: People who have lost a lot of hairs and need to receive a large number of grafts are best candidates for FUT, in which some 4000 to 5000 grafts can be transplanted in a single procedure. For these patients, FUE is not as much effective as FUT because the number of grafts that can be harvested in one session is limited because of the time-consuming process. Having said that, other personal factors might be important in different persons so you need to consult with your doctor to be able to choose the method that best suits your needs and expectations. Although similar in title, the two renowned methods of hair transplant can differ greatly. While some patients prefer to choose one of the two methods based on their preferences, others will have to act based on their specific circumstances. To summarize the benefits and shortcomings of both treatments, it would be safe to deduce that FUE is the method for those who are more concerned with aesthetic dimensions of a chosen procedure; it is also an optimal treatment for one who wishes to wear their hair short. FUT, on the other hand, is the optimum procedure for those who deeply care about the quality of the results of their transplant and are not that much concerned with the outward appearance of their head after receiving the treatment. 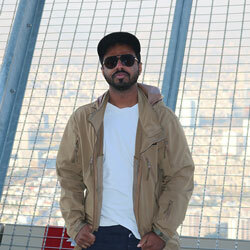 It is an almost undeniable fact that Iranians are a little bit too much into their looks! And that’s not necessarily a bad thing; at least it has paved the way for such procedures as hair transplant and rhinoplasty, among other things, to gain considerable ground and better standing in the country. 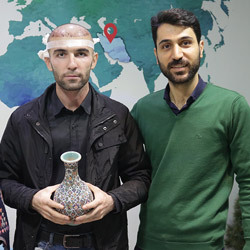 Along with the global community, Iranians too seem to be in favor of technological advancements in medical fields and hair transplant is no exception to the rule. The good news is that Iran is among the countries whose cities are ripe with leading hospitals, beauty clinics, and professional dermatology centers in the field of hair transplantation. 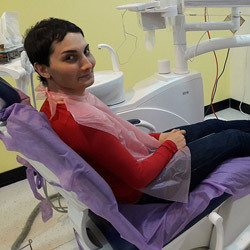 Tehran, Shiraz, Isfahan, Mashhad, Tabriz and Kish Island are only a few of the destinations with advanced, high-tech facilities offering such services to patients both from the country and around the world. Hundreds, even thousands of hair transplant center and clinics, both private and state-owned, are at your service to give you the most effective and affordable hair restoration treatments. 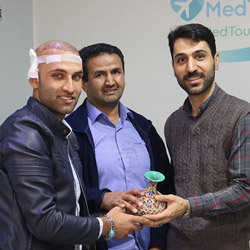 Iranian hair transplant surgeons make use of advanced NeoGraft devices to harvest hair grafts in a delicate way without damaging the root of the hairs. They offer both FUT and FUE (or FIT) services depending on patients’ preferences and desired results. They even combine FUT and FIT to perform a hair transplant that delivers the most optimal result. 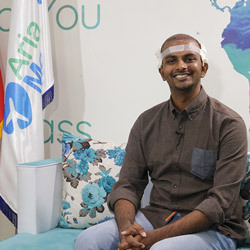 AriaMedTour-organized hair transplant procedures are performed in the most modern and up-to-date clinics that enjoy experienced hair transplant specialists and professional staff. To learn more about hair transplant methods and get a free quote for each, contact us now and get a free consultation. Patients video testimonials can help you make your decision! Below you see some of our hair transplant patients’ testimonial videos.